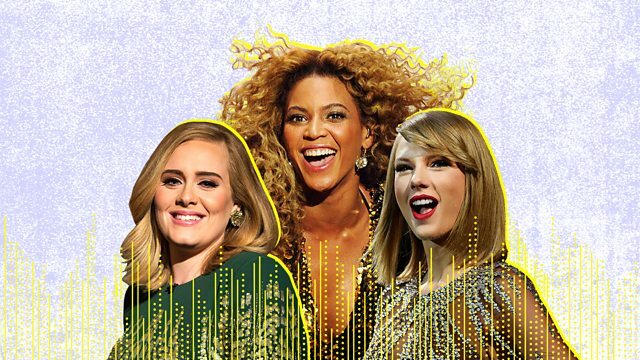 Celebrating Powerful Women in Music. This year we counted down the top 40 most powerful women in the music industry for the Woman's Hour Power List and only three performers made it into the Top 10. They were Beyoncé, Taylor Swift and Adele. Advocates Roxane Gay, Freya Ridings and Jayde Adams give us the secrets to their power. Singer Becky Hill first came to public attention in 2012 when she reached the semi-finals of the first series of The Voice aged just 17 years old. In 2014 she became the first The Voice UK contestant to score a UK number 1 when the song, "Gecko (Overdrive)" topped the charts. She has continued to have a string of hits and joins Jenni to perform “Sunrise in the East”. The band Little Mix were recently involved in a controversy following the release of their video Strip which included footage of them dancing in underwear. Piers Morgan claimed they were taking off their clothes for “attention” and singer Ariana Grande defended them by saying “I use my talent AND my sexuality all the time because I choose to”. But do all female music artists have the same level of choice about how they express their sexuality? And is taking off your clothes really a sign of being in control? Jenni talks to singer Becky Hill, music journalist and academic Jacqueline Springer and singer and song-writer Victoria Hesketh, also known as Little Boots.